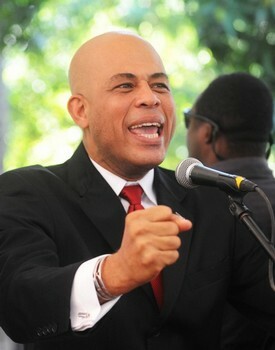 *Flamboyant carnival musician Michel Martelly edged out former Haitian first lady Mirlande Manigat in a pivotal presidential runoff vote held last month, according to preliminary results released Monday. Martelly, 50, took 67.6% of the vote, while Manigat, 70, received 31.5%, according to Pierre Thibault, spokesman for Haiti’s Provisional Electoral Council. After the announcement, streets around the electoral council in Petionville filled with Martelly’s spirited supporters, who chanted “Tete Kale,” or bald head — one of Martelly’s many nicknames. The preliminary results were originally expected to be announced last week, but fraud forced the council to delay the announcement until Monday. Final results are scheduled to be announced April 16. Read MORE of this story at CNN International.